Last September, I provided a $152 price target for Apple right here on See It Market. Since that time, Apple’s stock price (NASDAQ:AAPL) has increased by over $30 per share. And it is now nearing my upside price target ($152). 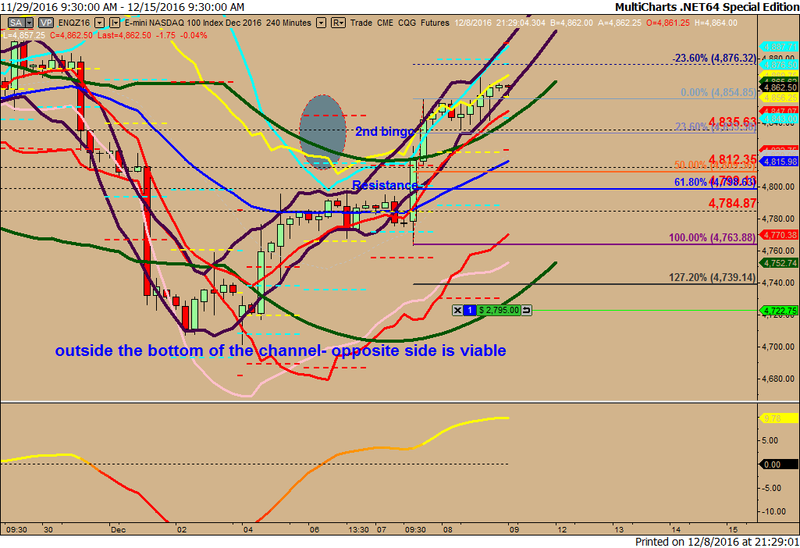 Below is an updated Apple chart with my AAPL stock price target and key levels. The bullet points below help to walk you through the chart analysis. Key price support levels that held = 94.58 & 85.37. The 1st support level was tested several times and held; the 2nd support level was never tested. After an initial move higher, price pulled back to an open gap at 103.91 and took off. 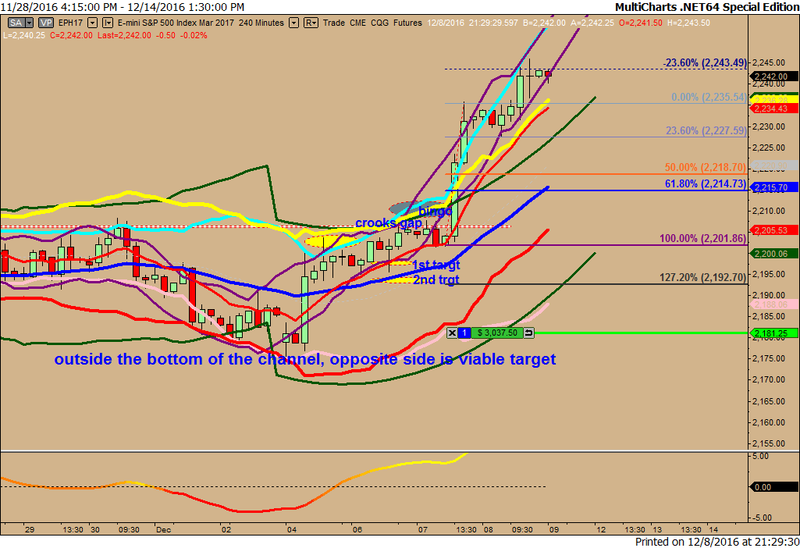 Price is now consolidating and I still expect my $152.02 AAPL price target to be hit. For February 2017, we’re going to have our Open House on Wednesday & Thursday, the 8th & 9th. If you’d like to attend, please send your name and email to [email protected] and you’ll be notified of the link to the webinar the night of the 7th. Below are 2 charts of an open swing trade Mike is in. The first chart shows 3 contracts on, the 2nd chart shows where he took 1 off and still has 2 running. For January 2017, we’re going to have our Open House next week, Tuesday and Wednesday, the 10th & 11th. If you’d like to attend, please send your name and email to [email protected] and you’ll be notified of the link to the webinar the night of the 9th. Below are 2 charts of trades with open positions currently. Click chart for larger image. Basis point (BPS) refers to a common unit of measure for interest rates and other percentages in finance. One basis point is equal to 1/100th of 1%, or 0.01% (0.0001), and is used to denote the percentage change in a financial instrument. The relationship between percentage changes and basis points can be summarized as follows: 1% change = 100 basis points, and 0.01% = 1 basis point. I wanted to follow up with everyone that attended our 2 day Open House this week. Thank you to all that attended; this was a very good Open House. Below are 2 charts of trades taken during the Open House and both trades will be closed today. Update: Below are 3 charts that show some of Mike’s charts with active trades. If you’d like to attend, please send your name and email to [email protected] An email with the link to the room will be sent to you the night of the 4th. We’re doing out monthly 2 day Open House in December on the 5th & 6th. This Open House, Mike will be showing his charts also ! Many of you have asked for Mike to show his charts, so you got it ! I will be showing my method of drawing Fibonacci levels and how I obtain the targets on several time frames, including the daily charts. Mike will be showing charts that are geared more toward swing trading, which he happens to be extremely good at. We’re doing our monthly 2 day Open House in December on the 5th & 6th. For the month of November, we’re gonna do something different; an Election 2016 special. In November we’ll be doing a 3 day Open House, the 1st & 2nd, the Tuesday and Wednesday before the election AND the 9th, the Wednesday after the election, which will be terribly interesting ! For the month of October, we’re going to hold our monthly, 2 day Open House, the 4th & 5th. You’ll be notified the night of October 3rd of the link to the room. Mike will be showing charts that are geared more toward swing trading, which he happens to be extremely good at. We recently posted charts showing Mike making a profit of approximately $40,000 in 2 weeks using only 1 and 2 contracts on ES, TF, NQ & CL. For the month of September, we’re going to hold our monthly, 2 day Open House, the 12th & 13th. You’ll be notified the night of September 11th of the link to the room.